We’ve all heard of people being stricken with dementia, but did you know dogs are susceptible as well? 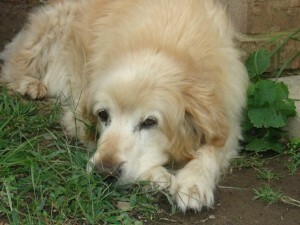 That’s right, dogs can suffer from Canine Cognitive Dysfunction (CCD), commonly known as senior dementia. CCD is caused by physical changes in the aging brain, resulting in the deterioration of how your dog thinks, reacts, learns and remembers. These lapses can create behavioral changes in your dog that gradually worsen over time. Symptoms of CCD are not unlike those of dementia in humans; they include disorientation, loss of appetite, heightened irritability, anxiety, restlessness, forgetfulness, changes in sleep patterns, incontinence and possible inability to learn new tasks. As well, dogs with CCD may show a decreased desire to play or be social, lick excessively or stop grooming themselves. An ongoing study performed at the University of California-Berkeley found 62% of dogs between the ages of 11 and 16 demonstrate one or more signs of CCD, and the percentage increases with age. What can you do to possibly prevent your four-legged friend from becoming a CCD statistic? Keep your dog’s brain active, teaching him new tricks to challenge his brain; not just after he reaches his senior years, but throughout his entire life. An antioxidant-enriched diet including Vitamins C and E, L-Carnitine, Alpha-lipoic acid and other antioxidants from fruits and vegetables may also be beneficial. And ensure your furry friend gets plenty of exercise and environmental stimulation; activities like play dates with other dogs, visits to your local dog park, a weekly rotation of toys and meeting new people should do the trick. So what should you do if you suspect your senior dog is developing CCD? Maybe you witnessed Fido walking in circles, staring blindly at the wall or acting uncharacteristically aggressive toward your spouse. First and foremost, schedule a visit with your veterinarian, who will conduct a thorough medical and neurological exam. Unfortunately, there is no test specifically for CCD and many CCD symptoms are shared with other serious ailments, so a diagnosis is usually a diagnosis by exclusion; if everything checks out normally, it is probably CCD. A CCD diagnosis is devastating, for both you and your furry friend, but it doesn’t mean the end is near. While there is no cure, there are prescription drugs available that may improve your dog’s quality of life by helping him think more clearly and remember more. You can help your dog cope with CCD by considering his needs and catering to them. For instance, try not to rearrange the furniture in your home as doing so can cause confusion for your dog. Also, encourage short play sessions, remove clutter from your home’s pathways, keep commands short and simple, and, most importantly, maintain your patience and compassion. Although your dog’s world has changed, every effort should be made to show him he is loved, cared for and respected. We LOVE our Pet Sitter!! How often has this happened to you? You come home after a long day at work, greeted at the door by your pooch who – unlike you – is well rested after a long and relaxing day at home, wagging his tail wildly, his big eyes full of excitement. Do you deny him the thing he wants and likely needs most at that moment? – an activity healthy for both his mind and body – a walk. Do you choose a comfy spot on the sofa to snuggle with your furry friend hoping your attention will shift his focus from activity to tranquility? Do you begrudgingly hook up his leash and take him for a hasty lap around the block, anxious to get home to your glass of wine? In a perfect world, you would proudly exclaim, “No matter how exhausted I may be after spending tedious hours in the office, I take Fido for a well-deserved walk every day because I know it will benefit his health and behavior!” But, in the real world – which is far from perfect – you likely opt for the sofa and the glass of wine. Sure, you know a nice, brisk, heart pumping walk is good for you – it aids in weight maintenance, promotes better sleep, can reduce stress, and increases energy levels. And, as a pet lover, you likely know the same holds true for your canine companion. Not only does exercise enhance your pet’s life expectancy, but it also helps curb misbehavior that may occur while left at home alone. Think about it – a bored dog can become a mischievous dog (picture coming home to toilet paper strewn throughout your living room and the right shoe from your favorite pair chewed to bits); but a well exercised, tired dog likely won’t have the energy or the desire to misbehave. Keep in mind, most dog breeds were developed to perform a task, whether it be herding, hunting, tracking, etc. They were not bred to be sedentary or confined and their innate urge to be active may result in unwanted behaviors. According to the ASPCA, at least one 30-minute walk per day is necessary to maintain your dog’s health and well-being. While a fenced-in yard may be convenient and give Fido the freedom to roam, chances are he’s not engaging his full potential when it comes to exercising. More likely, he’s meandering around, sniffing, munching on grass, laying in the sun… anything but getting his blood pumping and his heart rate up. Dogs need the physical and mental stimulation provided by a good walk. For many pet parents, meeting such a need isn’t easy. Between working, raising a family, spending time with friends, maintaining a home, etc., walking your dog for 30 minutes each day may fall last on your list. So what’s a pet parent to do? Call Professional Pet Sitting Etc. to schedule daily walks for your furry friend! We offer mid-day walks that give your canine companion the opportunity to burn off some pent up energy, breathe in some fresh air, and soak up the sunshine. Whether you’ll be working an extra-long day, or simply want Fido to get a break from his ho-hum routine while you’re at the office, a quality walk with one of our passionate, animal loving staff members will do the trick! We will provide your dog with the daily stimulation and sense of accomplishment he needs, leaving a happier, calmer pup waiting to greet you at the door. Call us at 603-888-8088 to schedule your dog walks today! Does Your Dog Like Music? 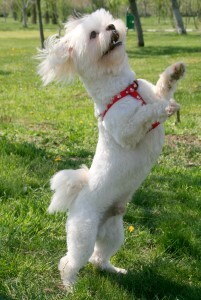 Does your dog dance, too? Has your canine companion ever howled when a certain song plays on the radio? Do you leave a radio on to comfort him while you’re away from home? 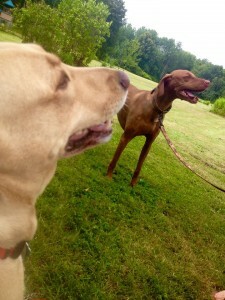 While it is proven music can significantly impact our mood, does it do the same for our dogs? As it turns out, your furry friend could have equally significant reactions to music, and may even have a favorite song! But just because your favorite song may be a Pink Floyd tune, chances are your dog does not share your musical taste. 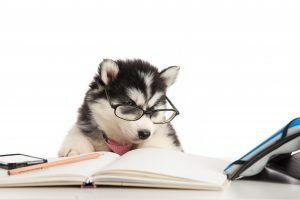 A University of Wisconsin animal psychologist discovered dogs prefer tunes specially designed using the pitches, tempos and tones that are familiar to their species. People are drawn to music that falls within our audio and vocal ranges, uses tones we find familiar, and has a tempo similar to that of our own heartbeat. To dogs, the majority of our music is unrecognizable as their vocal and heart rates are very different from our own. In fact, studies have shown popular, fast-paced, instrument-heavy music – such as hard rock – encourages dogs to bark and display anxiety, while soft and steady classical tunes – not quite as mainstream these days – encourage them to remain calm and relaxed. Pop music did not produce behaviors much different from when there was no music at all. If you answered “yes” to the question of your dog howling when a certain song plays, it is likely due to wind instruments in the piece. At times, a human holding a long note may produce the same response from Rover. It is suspected these pitches sound like howls to your pooch and he feels the need to respond or join in on the conversation. Do you leave a radio on for Fido when you’re not home? While he may not care about the music being played, the sound itself may offer him peace-of-mind. Choose a station that specializes in calm, soothing music – give Pandora’s “Classical Relaxation” or “Spa” station a try. The sound may relax your pooch, especially if he has a tendency to scare from outside noises. It can also reduce general stress, which can lead to behavioral and psychological issues. While it isn’t the music itself dogs seem to enjoy or dislike, it is the musical elements within the song that produce a discernable reaction. Just because your four-legged friend probably does not enjoy the same music you do, the right style of music can provide important benefits such as stress reduction and comfort. Nothing says “I love you” quite like a wet, sloppy kiss from your canine companion, or an up-close and personal “meow” from Fluffy, your favorite feline. But what can you do if that kiss or meow is accompanied by some seriously bad breath? If your pet suffers from stinky breath, it could signify a health problem that needs attention, or it could be a bi-product of a poor diet. Periodontal Disease is indeed the most common cause of stinky breath for pets. A build-up of plaque can cause gingivitis which, if left, can transition to periodontal disease. This disease can be quite serious, resulting in your pet losing teeth, develop gum disease, and it can even cause kidney and heart damage. When it comes to your precious pet’s teeth and gums, the old Ben Franklin idiom, ‘An ounce of prevention is worth a pound of cure’ certainly applies. Brush your pet’s teeth regularly, perform routine mouth inspections (feel around for loose teeth, unusual bumps, etc. 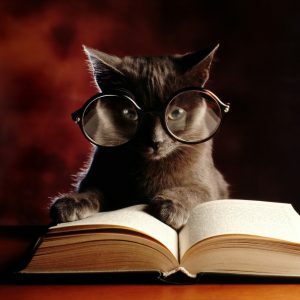 ), and arrange for regular oral exams by your pet’s veterinarian. These can negatively affect a pet’s breath. Odor producing bacteria in your pet’s stomach, lungs and/or mouth can build-up and produce a foul smell. An unrelenting odor is a sign that something may be wrong in your pet’s kidneys, liver or gastrointestinal tract, and should be examined by your vet. Diabetes can produce sweet smelling breath with a hint of a fruit-like scent. While the smell may seem ideal, the cause can be quite dangerous for your pet. The primary symptoms of diabetes for your pet is excessive thirst and frequent urination. Sometimes, a pet with diabetes may display an insatiable appetite. 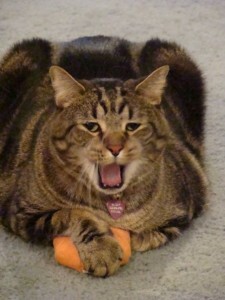 This disease is more common in overweight pets, although even those at an ideal weight can befall diabetes. FELV and FIV are autoimmune diseases that affect cats. If your favorite feline has poor smelling breath as well as pale gums, runny nose, watery eyes, a loss of appetite, vomiting, lethargy and weight loss, be on alert as these are all symptoms of a serious health issue that requires your vet’s attention. A poor diet can also be to blame for your pet’s unpleasant breath. High quality pet foods aim to support your pet’s digestive and immune systems, aiding in a healthier life and better breath. Bad breath in pets is not normal. Don’t ignore bad breath; seek veterinarian attention as it’s always easier to treat a medical issue in the early stages, rather than giving the issue, and your dog’s breath, a chance to fester. Misha just LOVES Professional Pet Sitting Etc Newsletters ! !